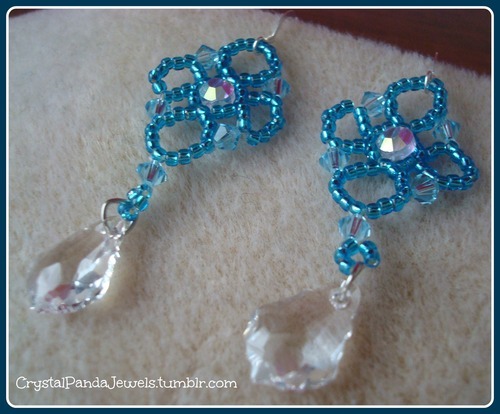 Here’s a bead weaving project for you using odd count peyote: Beaded Peyote Cat Earrings. This looks like a nice small project for anyone who’s trying to learn to create patterns in your peyote bead weaving. Have you Rizo’d? After making a Double Bubble Jacks beaded bead with these little rice-shaped drop beads, I tried them out in my new Tila Droplet Charm design. I substituted both the 2.8 and 3.4 mm drops with rizos, and came up with these purple and copper earrings.